The Laparoscopic Roux n Y Gastric Bypass is considered to be the “Gold Standard” weight loss operation around the world. While it is no longer the most common weight loss operation, it has been utilized for over 40 years. It remains the “Gold Standard” due to the large amount of data available. 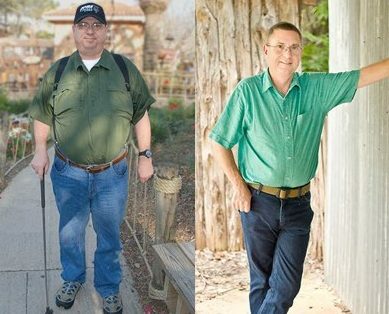 Learn about Mike’s incredible story about how Gastric Bypass Surgery transformed his life. The restriction of food intake as the result of a bypass is accomplished by dividing the stomach into two parts. One part is very small (the new pouch), and the other part, while much larger, is never exposed to food again. The new stomach, or pouch, holds very small amounts of food. Once the bypass is surgically complete, the process of digesting food is slightly changed. When a patient swallows food, it passes through the esophagus and the new stomach pouch into a segment of the small intestine called the “Roux limb”. 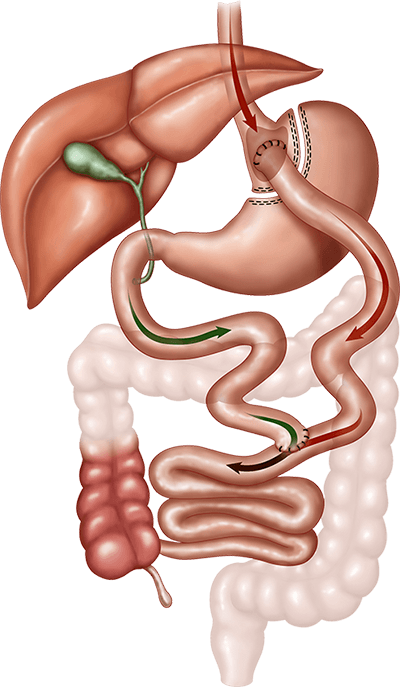 The changed anatomy of the stomach and intestines can be seen in the following video, including the new stomach pouch and the Roux limb. Once the surgeon completes the bypass and before the surgery is finished, we perform a blue dye pressure test to ensure no leakage from the newly joined sections of the digestive system occurs. Those who are concerned about a foreign object inside the abdomen (band). Those who have been diagnosed with Type 2 Diabetes, sleep apnea, hypertension, or other obesity related co-morbidities. Those who have stronger cravings toward high sugar containing foods. For more information on how to begin your transformation call us at 405-359-2475 or join Dr. Broussard and Dr. Walton at a free bariatric surgery seminar in Oklahoma.